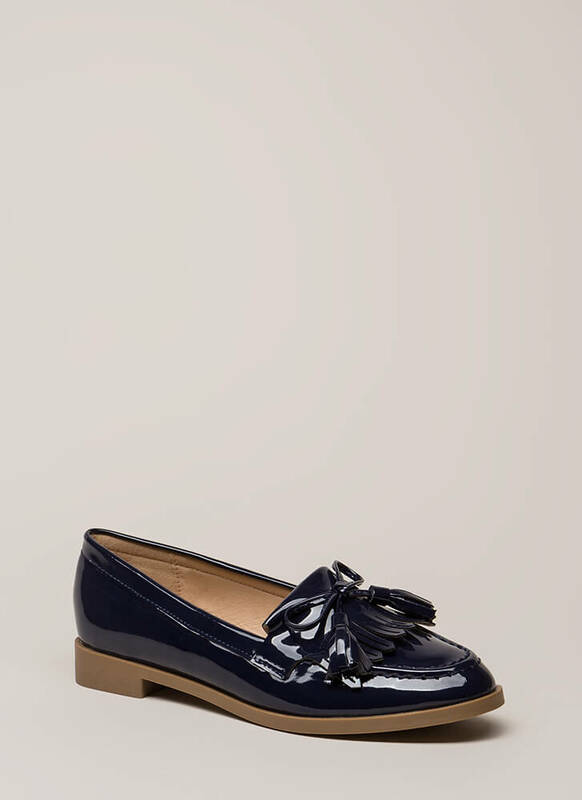 A bow-getter like you deserves these gorgeous shoes! 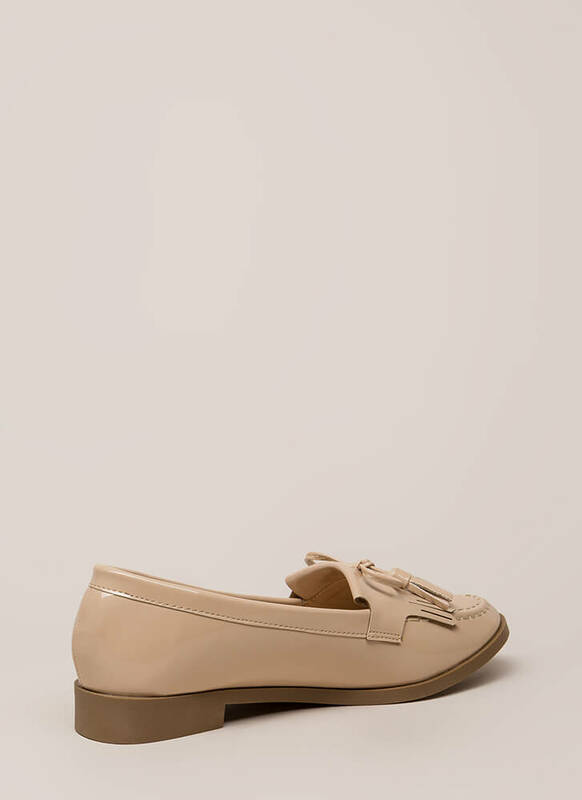 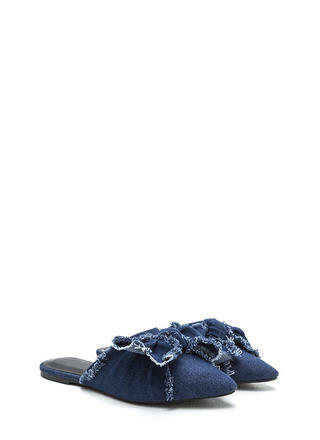 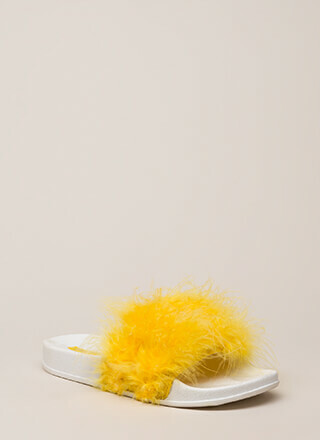 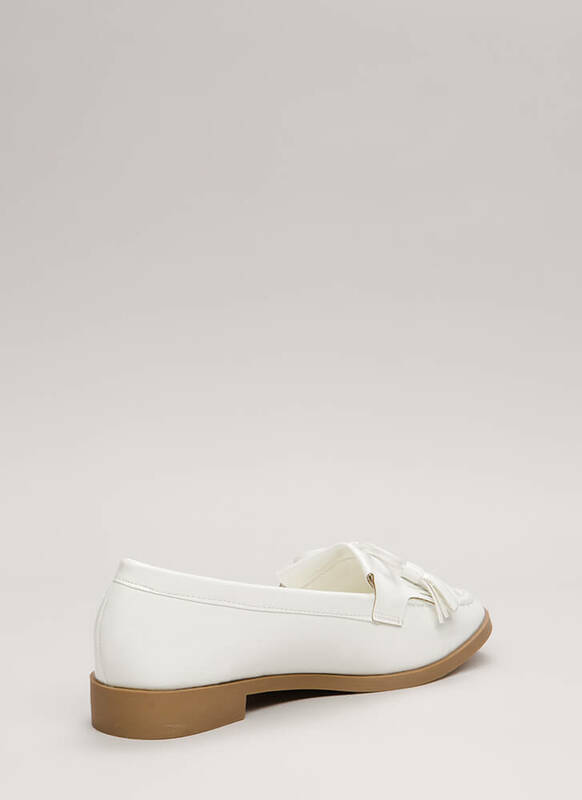 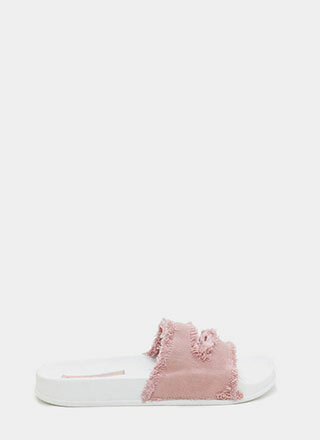 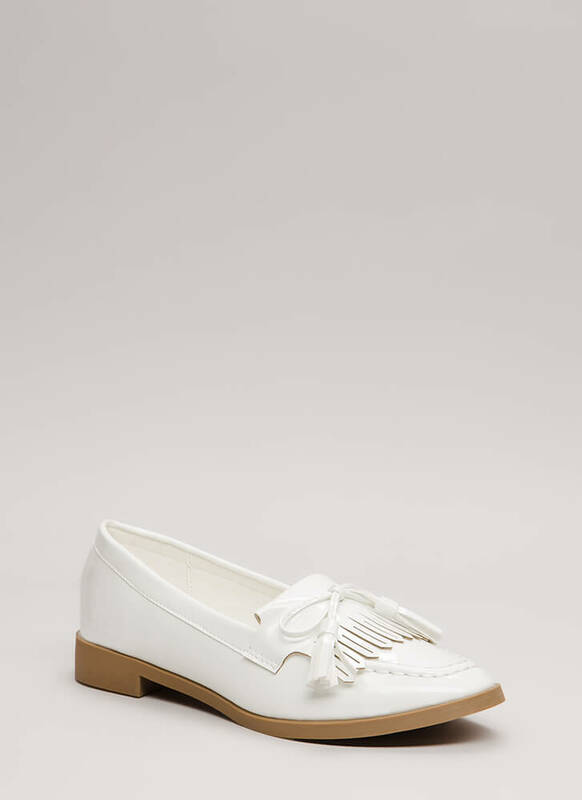 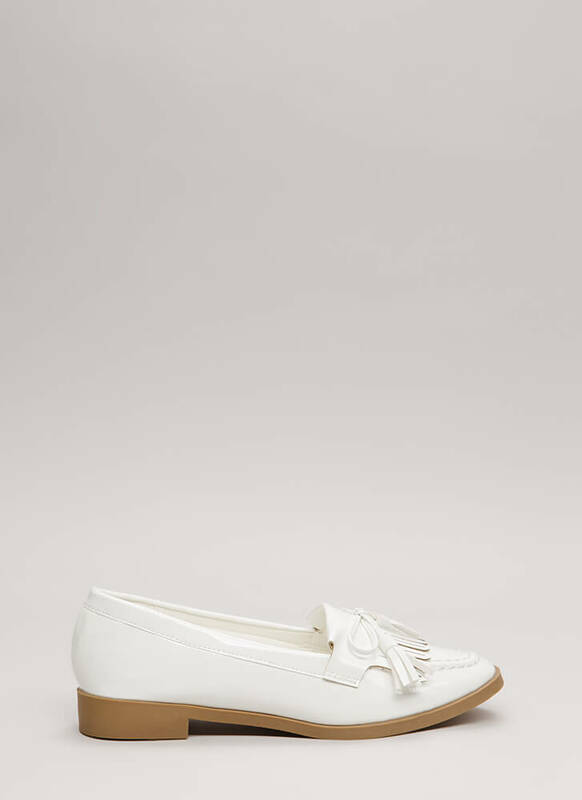 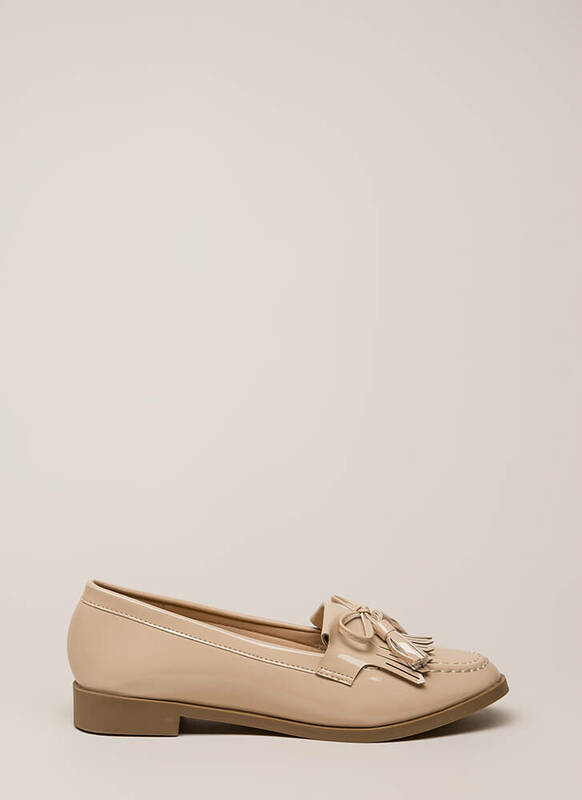 Vegan patent leather loafer flats feature stitched detailing throughout, a folded tongue, a panel of slit tapered fringe, and a tied bow with tassel ends. 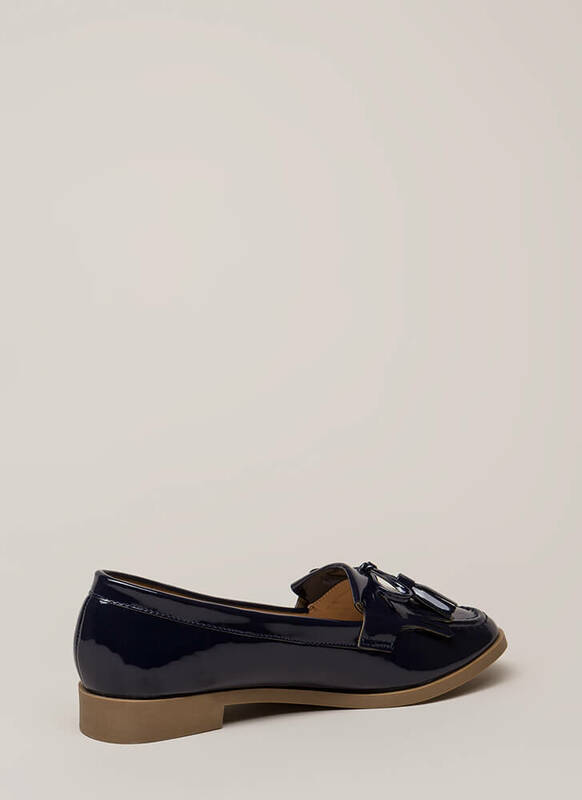 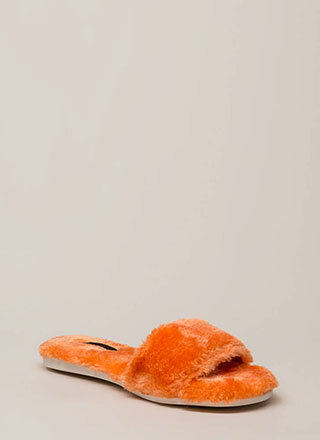 Shoes are finished with a slim heel, a ridged sole, and no closures.